It’s the episode we’ve all been waiting for: an episode completely about Captain Hook. Well, more like 85% about Captain Hook, but regardless he certainly took center stage this time around as we find out exactly what he regrets from the year everyone has forgotten. Though with his past finally behind him and his future looking up, the present takes a tragic turn for the worse. Ship or no ship, Hook is up to his old ways – or at least trying to be. He still harbors strong feelings for Emma and whether or not his crewmembers pitch in to get him a ‘friend’ for the evening, he personally wants no part of it. This is when he is approached – or bludgeoned – by Ariel who is on a quest to once again find her love Prince Eric who has been kidnapped by the captain of the Jolly Roger – which obviously isn’t Hook anymore. When Hook realizes that his ship is safe and sound and is being used by Black Beard, he sees it as a chance to go back to the way things were. It’s a chance to forget Emma and go back to the first woman he ever loved – his ship. When they arrive Hook challenges Black Beard – who looks a lot like the original Captain Hook – to a duel for control of the ship. Hook clearly wins, but is then faced with Black Beards true intent for stealing his ship: to prove that Captain Hook as gone soft and is no longer a pirate. Since Hook’s return, stories have been told about his heroism and the other pirates take that for weakness. 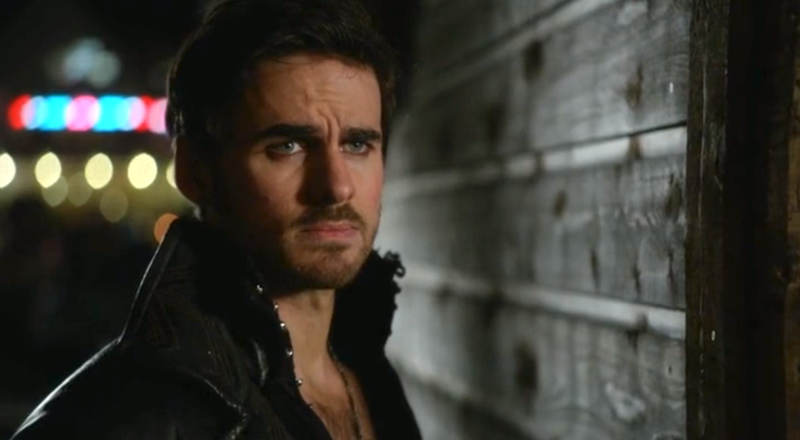 Hook tries to put his past behind him and become the filthy scoundrel he once was. So when Black Beard offers to tell them where Prince Eric is stranded in exchange for keeping the Jolly Roger, Hook feeds him to the sharks. But Hook isn’t the scoundrel he once was, and no matter how much he wants to, he can’t go back to being him. 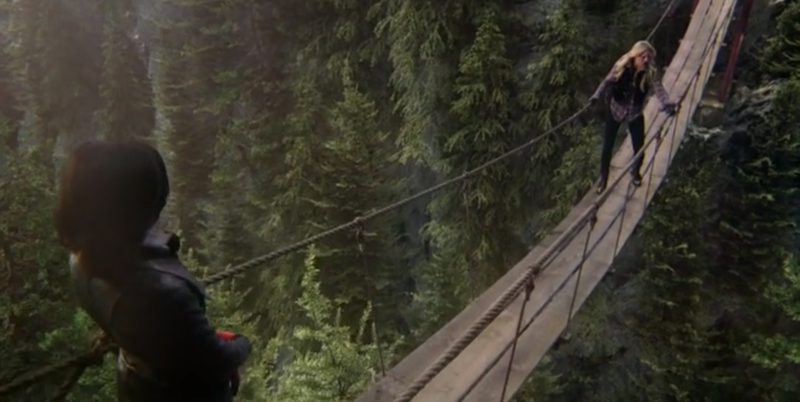 Hook’s conscience weighs heavily on him and he’s been carrying the grief of that day with him all this time. So when Ariel returns to Storybrooke with no memory of the past year, Hook can’t bring himself to admit to Ariel what he’s done. Though once Ariel learns of Prince Eric’s death, Hook breaks and tells her everything. Ariel says he can only atone if he swears on the name of the woman he supposedly loves, but – as most things this season – it’s a trap! Ariel never left the Enchanted Forest. She went on to find Prince Eric and they have been living happily ever after in part of the Enchanted Forest far outside of Zelena’s curse. 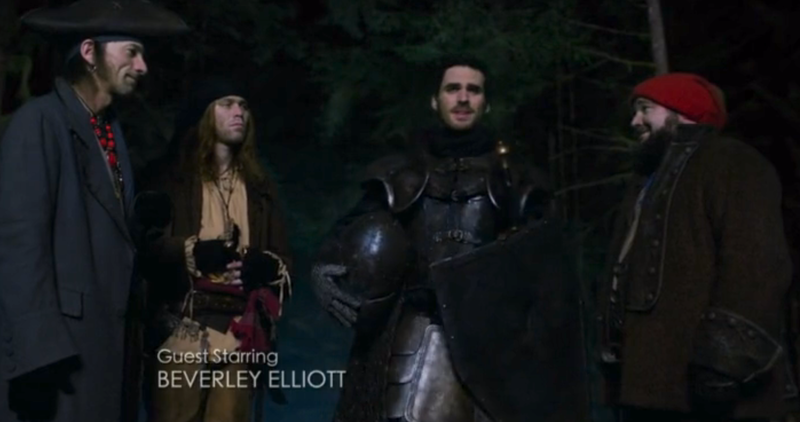 The woman standing before Hook is the Wicked Witch in disguise – Oh god, who else has she impersonated? 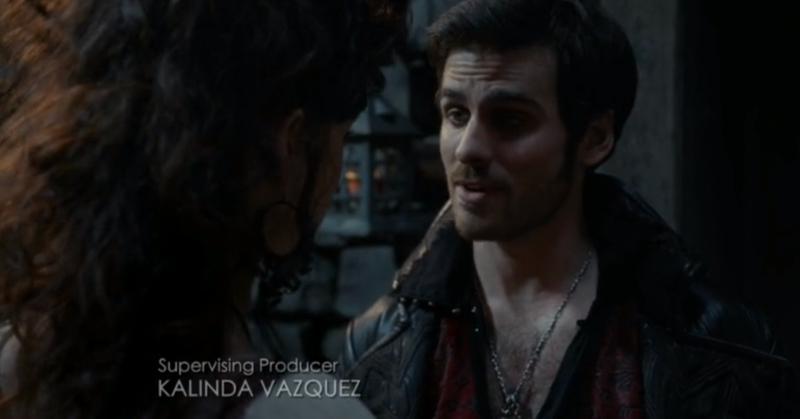 In an attempt to use Hook’s guilt against him – or rather Emma – she put a curse on him the second he spoke Emma’s name. Now, the next time he kisses her, Emma will lose all of her powers. As if that wasn’t heartbreaking enough as it is – since Hook can’t kiss the woman he loves – Zelena then issues a threat to Hook. If he doesn’t kiss Emma, she will kill everyone she cares about – since as Hook pointed out, if she could have killed Emma, she would have done so already. Why all of a sudden is Zelena so afraid of Emma? After Season after season of Emma rejecting who she is, she finally has decided to embrace her other half. She’s decided to learn magic. Though not the ‘teach me Regina so we can fight Pan . .. never mind” kind of magic, but the actual “teach me magic” – cue the training montage. Regina realizes that Emma’s magic usually appears when she’s pushed into using it, so Regina decides to put Emma’s life in danger, and it works. As Emma gets more in touch with her powers, she not only exceeds Regina’s expectations – levitating a bridge rather than fixing it – but also can do things normal sorcerers can’t – like using a mirror to look upon people in other realms. Zelena has good reason to be afraid, but who says her plan will work? For all curses are meant to be broken. Besides showing Hook’s past – and a cautionary tale against child drivers – this episode set up for the future of this season. With Emma just developing her amazing powers, she isn’t going to lose them before she can truly let them shine. So will Hook not kiss her? Or will she lose everyone? The answer is neither. Regina mentioned a protection spell around the Charming’s apartment, which could keep them safe from Zelena if Hook warns them. He could also even ask Regina to un-curse him – if it’s possible. Though as we’ve learned in the past, curses can be broken usually with true love’s kiss. If Emma does fall for Hook – which she seems to be doing considering her ‘put the past behind me and move on’ comment – their kiss could render Zelena’s curse null and void. This would be a great way to take Zelena by surprise. She would think Emma would be powerless and finally have the tables turned on her. The other option is Hook does kiss her to save her family and Emma loses her powers; but they kiss again and that one breaks the curse and Emma regains her powers. This wouldn’t be the first time Hook’s been put in a difficult position with Emma. I’m confident that just like he did when Pan told him about Neal’s presence in Neverland, Hook will do the right thing as far as Emma is concerned.